We are a family owned and operated appliance repair company that has been serving the Cleveland Metropolitan area since 1963. Complete Appliance was originally started by Rinaldo Borsani. His son purchased the business in 1971 and it has been managed by him ever since. 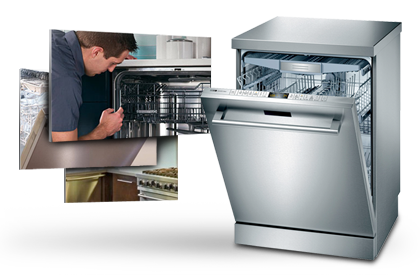 We specialize in the appliance repair and maintenance of all brands of major appliances. Our technicians are factory trained to repair and service more than forty brands of appliances. We offer prompt, courteous, and professional service from the moment the phone rings until the call is completed. Each of our trucks are equipped with the latest equipment and parts to ensure that your appliances will be repaired on a timely basis. Our service technicians are backed up by a fully staffed customer service department and a parts department that carries a very deep and wide assortment of factory authorized parts to support our service clients. We also have a parts counter where a customer can come in and purchase parts. We offer expert technical advice to people who are trying to repair their own appliances. We proudly provide services including washer and dryer repair, refrigerator repair and so much more! Our Mission Statement is very simple: We aim to deliver outstanding customer service. We believe that while the customer may not always be right, the customer must be treated right. Call us today to schedule an appliance repair appointment in Shaker Heights, Cleveland, East Cleveland, Cleveland Heights, Richmond Heights, Highland Heights, Beachwood Place, Beachwood, Highland Hills, Newhurgh Heights, Linndale, Lakewood, Pepper Pike, Moorland hills & many more!